www.newmanfilms.net: xmas, new year, doctor who and wilf's real identity? xmas, new year, doctor who and wilf's real identity? Well the important thing is done and Christmas has left as fleeting as it came, hope whatever faith and belief you have the festivities and holidays passed by without a hitch, food poisonings or family stress. I received an amazing gift of a full hd Sony camcorder - so expect more video posts through late January! Regardless the film season is on kind of with Sherlock Holmes doing the rounds, but I haven’t, due to the usual injury been able to cinema it. Shall await esteemed blue ray ! The drums are beating in the masters head, So we assume heart beat of the time lords or the time lords themselves are in the master. Leading to a somehow regeneration of the race via the master-race. Due to timey winemy. I’m not sure if they will still disappear or not by the end of the program. The doctor is somehow injured (obviously) and states that he must see everyone before he dies, and he doesn’t want to regenerate. (as we thought the master might have done last time) This means he travels around and does his thing with all the people (we have seen in leaked footage throughout the last six months in filming clips and pictures). 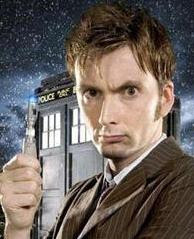 However he says,……I sometimes think time lords live to long. (as seen in trailer for part 2) . He lands on earth in 1945 thereabouts and hides the Tardis, somewhere unobtrusive, the tardis gives him the name Wilfred Mott and he lives an ordinary life. We then see doctor aging and living a normal life and go over various events that unfold. We cut back to Wilfred Mott on his deathbed in modern times, injured perhaps fatally in the Timewar, unaware of his interaction with his previous self. For some reason he has the strange urge to look at the fob watch he has kept with him from the end of the second world war, (maybe…..). Donna stands by his side on his death bed as he passes the energy from her Docter Donna self murges with wilf! and he opens the watch he dies! Enter Matt Smith - all good!